Today's post is all about plaid. 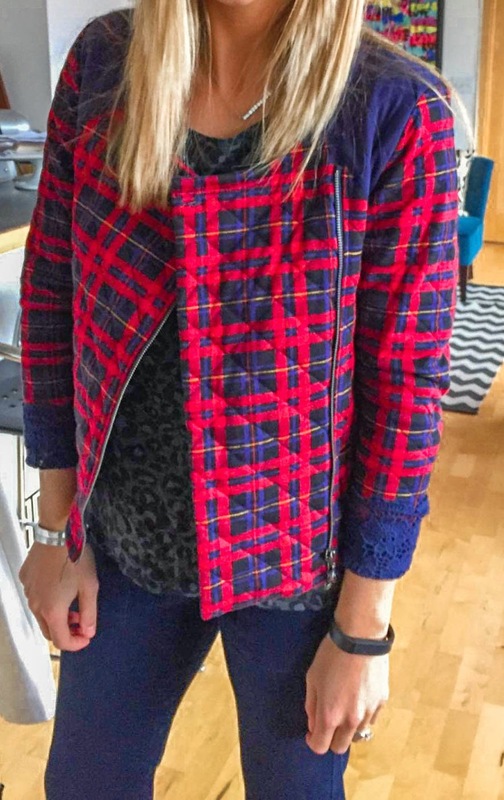 Plaid is at the top of my list of fall/winter prints, but why post about it now? Becauseeee all of the great plaid pieces are on sale! It's that time of year where retailers are clearing through all of the fall merchandise to make room for spring. Just because the stores are telling us to think spring doesn't mean the weather is. In most regions it's still plenty cold to get a few months out of plaid. I paired my plaid jacket with a tonal animal print top and dark wash denim.